Fresh green herbs can bring you back to carefree days of summer when in reality you’re stuck in your dorm room, in February, feverishly whipping out papers on Kant and Foucault. Potted plants have the power to improve the air quality, aroma and ambience of your probably cramped dorm room, and, when the plants are edible, you have the added benefits of fresh flavor and color to throw into all of your culinary creations. So, plant a dorm room herb garden! The atmospheric and gastronomic benefits are invaluable in the cold, dark months of the school year. Growing plants is actually quite simple. Just keep in mind the essential elements plants need to grow, light, soil, and water. 1. Choose the sunniest window in your dorm. Hopefully you have a window. South facing windows will have the best solar gain. If you do not have a sill big enough to fit an 8-inch diameter potted plant, scoot a table, stack of milk crates, or your desk next to the window. Remember, plants convert the sun’s energy into food, so good daylight is essential. Plants also like heat (but don’t put them on your heater) so make sure the window doesn’t leak too much cold air in. 2. 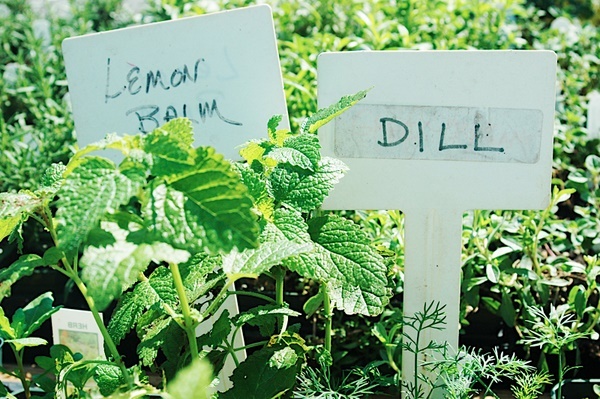 Choose the herbs you want to grow. My favorite to grow indoors during the winter months are cilantro, parsley, and basil. All three of these herbs are annuals, meaning that they will eventually flower and die during a season. All three also add a lot of fresh flavor and greenness to soups, salads, and pasta dishes. 3. Find some pots. The pots can be anything: recycled plastic containers or terra cotta pots from the garden store. They need to be bigger than a yogurt container but smaller than a foot in diameter. Your plants will be happier in pots that drain well, so poke some holes in the bottom of the containers, and make sure to put the pots on some sort of plate to catch the excess water. 4. Add soil. This you will probably need to purchase from a garden supply store. There’s a lot of fancy stuff out there. I think that simple potting soil with nitrogen, phosphorus and potassium (N,P,K) from an organic source will suffice. 5. Find some plants. If it’s still technically summertime, you can start your plants from seed in seedling trays. However, by mid-September (depending on how far north you live) there won’t be quite enough light during the day for a seedling to grow to full maturity. Nurseries should have seedlings (adolescent plants) that can be re-potted from a six-pack into their own pot. When transplanting the seedling, be gentle, and plant the seedling deep into the soil so that part of its stem is also covered. 7. Eat them! You can cut mature cilantro, parsley and basil plants at their stems and they will grow new shoots. Once these plants flower, their days are numbered, but if you continue to cut them back they will persist for several months. So, cut some green, leafy bunches, mince them up, throw them into a hot dish, and enjoy! Michaela Wood is a very recent, very broke graduate from Marlboro College in the hills of Southern Vermont. She loves dark chocolate, kale, and taco night in the dining hall. Great blog…my daughter is growing pet TickleMe Plant in her dorm. It may be the only legal plant that will make you smile everyday. Just tickle the leaves and they fold up..omg…who knew.